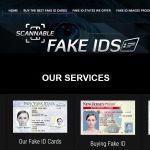 IDViking is a popular fake ID provider and known for its ability to manufacture Driving and student identity cards. Many small domestic vendors resell their IDs for a profit margin. The real question, however, remains a mystery. 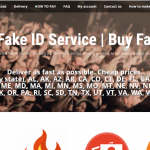 Are the fake IDs of IDViking worth buying? On-site reviews with a bunch of stars are easy to place thanks to rich snippets. 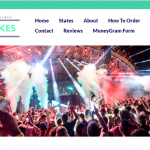 To fully analyze and review their products we have to know what kind of fake IDs do they sell? The samples with “Chris Hemsworth” as a dummy shows the templates that they use to craft these IDs on. 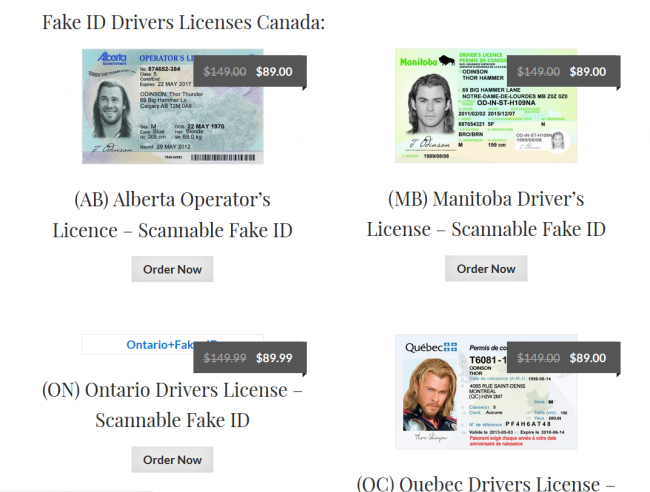 Alberta, Manitoba, and Quebec are some of the IDs that they sell with a starting price of 89 dollars. The price lowers as depending upon how many IDs one orders. It is important to note that not many vendors are interested in making ID cards for Canada. The demand for these is not much as compared to the US state IDs. The performance reported by our members and visitors also contradicts their claims of scannable ID cards. The lacking microprinting in their Manitoba licenses and irrelevant ink to print the signature of the cardholder shows their lack of skill. They restrict users to upload a 4 (MB) photo of the signature and their face. In our opinion, it is a very small size and restricts customers from providing high-resolution photos. You are allowed to choose preferences such as Hair Color, DOB, signature but they do not allow you to write your own license number, issue date or expiry dates. That means you cannot customize your ID according to the requirements. As intriguing it may sound, student fake IDs are not a very popular asset among the youth in the US or CA. These identity cards do not allow you to purchase alcoholic drinks because for that you need to carry a driving or state ID. We believe student fake cards are a huge risk for security. Hence, we do not condone the use of these as a possible asset for having fun. Moreover, some of the student IDs that ID Viking makes lack holograms and the laminates peel off with bending. The starting price for these is 39 dollars and may go lower in case of group orders. IDViking.com makes US driving licenses of over 10 states. Starting from Illinois to Colorado and many others; it offers a variety of products with a starting price tag of 90 dollars. 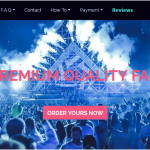 We can divide the review of IDViking for this particular category into the following factors. They still make outdated IDs. IDs can be Express Shipped. Apart from Illinois and Connecticut; the rest of their IDs are outdated. The designs are no longer valid in the US due to the real ID. The US state ID showcase is very limited. While most other vendors offer 30-40 novelty licenses to choose from and IDViking only has 8-10 limited IDs. Out of this only 3-4 are valid and the rest are outdated. 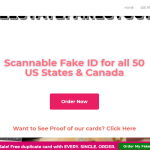 IDViking is a fake ID maker declining rapidly and losing their customer-base due to inexperience staff, lacking ability to reproduce vital features in their fake IDs & making irrelevant products such as student IDs. You can read real customer testimonials below. If you have used a product of IDViking then, we ask you to share your opinion and experience using our comments form below. Template: [5 out of 10] Considering this is an Illinois license it needs to have perforated holes throughout the front. IDViking.com’s (nIL) lacks perforations. The ultraviolet ghost photo on the back is visible under normal light as well which should only be visible under UV. Shipping: [3 out of 10] They charged extra for express shipping. However, it still took 6 days to get the license. Which in our opinion is just a rip-off? Codes: [4 out of 10] QR codes scan fine. Magnetic stripes are missing on some IDs. Customer Service: [5 out of 10] Terrible at support. Non-convenient payment methods and irresponsible staff contribute to customer dissatisfaction.